Many MINI drivers in Eugene and Springfield come to Action Automotive for their auto repair. Because we have specialized repair and diagnostics equipment, experienced auto mechanics, and courteous customer service, Action Automotive is your best choice for MINI repair and service in Eugene. Action Automotive stands out among all the other auto repair shops and dealerships around the area, thanks to our ASE-Certified technicians, dedicated staff, and top-of-the-line equipment. We do care about our Eugene drivers, and Action Automotive is an outlet for us to help those in our community. We uphold a high standard of excellence in our service and repair. Our auto mechanics attend regular training to stay informed on the latest repair strategies and technology so they can quickly get your MINI back out on the road. It can be a challenge to find an auto repair shop that excels at not just caring for cars, but at caring for people too. If you have been prospecting for a shop having these values, then with Action Automotive, you have truly struck gold! Each member of our team, auto mechanics included, is compassionate and courteous. No matter the auto repair your vehicle requires, we are your shoulder to lean on. 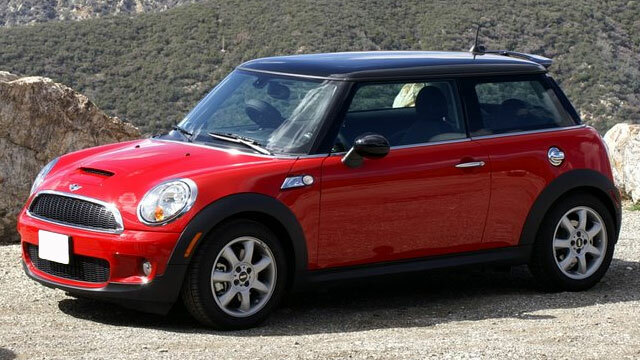 To schedule an appointment for Mini repair, call Action Automotive now. We are located at 1491 West 6th Avenue, Eugene, OR 97402.